The Gun Owner Insurance Experts for Concealed Carry & Self-Defense! 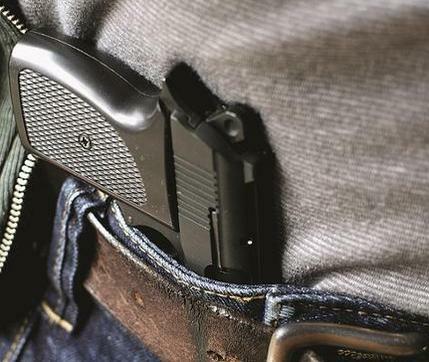 Concealed Carry License Holder or not...if you own a gun you need to have the proper insurance coverage in place if you ever have to use your weapon in Self-Defense. Home and Umbrella policies will provide coverage to you for negligent acts (accidental shootings) but most will NOT cover you if you have to use your gun for Self-Defense! Chris Monge of Affordable Insurance Solutions LLC, Author of "The Gun Owners Guide to Insurance for Concealed Carry and Self-Defense" has become the leading expert on Concealed Carry & Self-Defense Insurance. If you live in Illinois or Wisconsin, Chris has put together a comprehensive insurance program that protects Concealed Carry Licensees against Criminal Defense Legal Fees and Civil Suits for a Self-Defense Shooting. And for gun owners in these states who do not carry concealed, you can get protection against Civil Suits for a Self-Defense shooting. For those who live outside of these two states, Chris's book will tell you what is available and what you need to look for in coverage in your home state. Please check out our site for important information on protecting you and your family in the event of a Self-Defense shooting and be sure to purchase your own copy of "The Gun Owners Guide to Insurance for Concealed Carry and Self-Defense" right here - it is available in paperback or as an E-Book download for immediate reading. Simply complete the information below! You'll get updates, real-life Armed Citizen Stories plus much more!